When traveling in the French-speaking province of Quebec, Canada, I suggest you keep three words at the ready. They do not – as you might imagine – form the question, parlez-vous anglais? 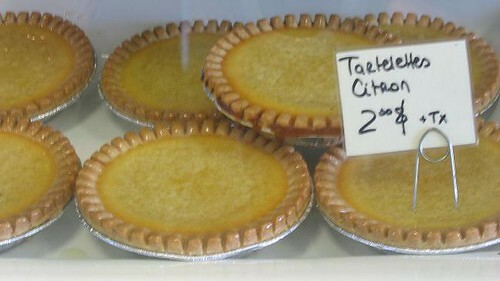 Rather, the three most important words you’ll utter during your travels to la belle Canada are these: Tarte au sucre. To explain: The Queen and her entourage are currently on vacation. And while most people tend to relax when they engage in leisure travel, the Queen of Tarts is still hard at work. She knows how disappointed her throngs of readers would be if a Friday passed sans pie, so she’s reporting this week from the road. (la rue) Hopefully, this pie-palooza will keep all three of you engaged until next week. But back to the tarte au sucre. 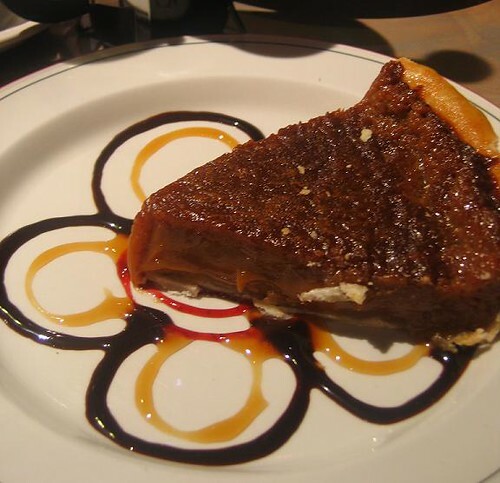 A traditional Quebecoise dessert, it’s still possible (though a bit difficult) to find the pie on the menu at select Montreal restaurants. The best tarte au sucre I’ve tasted was at La Paryse, a cozy burger-fries-shake shop in the city’s quartier latin. Recommended by new friends Anthony and Michelle at the Montreal-centric food blog an endless banquet, here it is: a lovely, gooey (in the best possible sense of the word) butterscotch-y creation. In Old Quebec City, the Tatum Café serves a fine version. The gorgeous plate presentation holds a hefty slice, and is best accompanied by a cup of strong coffee. 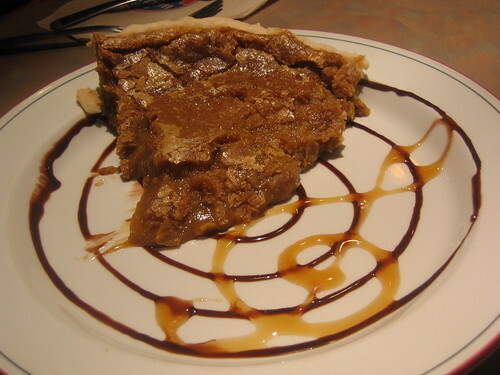 They also do a tasty caramel pie (which, come to think of it, is just another form of sugar pie). Lest you worry that the Queen has done nothing but consume pies during her sojourn, let me assure you that there have been many other merry moments, including a visit to the Contemporary Art Museum to see an exhibition of Brian Jungen. Jungen, a Vancounver-based artist, creates tribal masks from Nike Air Jordans and re-creates whale skeletons from plastic lawn chairs. Need I say more? 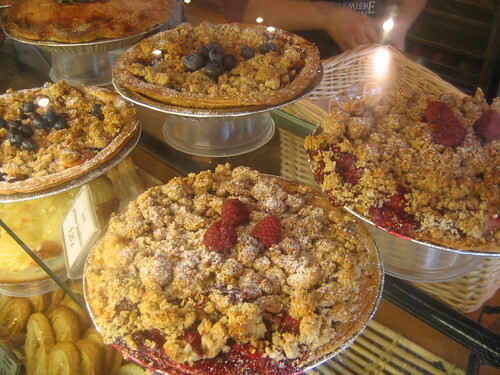 Bike-riding through the Parc Jean-Drapeau and hiking up to and around Mont-Royal allowed us a guilt-free trip to the superb Premiere Moisson bakery, where, having temporarily misplaced our James Bond secret camera, we had to obtain permission from the manager to photograph the pie counter. A la prochaine. . . Bon appetit! Wow, the Queen is so dedicated to her loyal subjects that she even posts during her vacation! 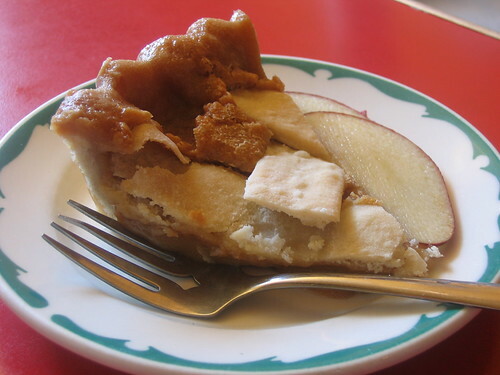 I remember having sugar pie in Canada during a winter break trip there back in college. Good stuff, although my pancreas must have been working overtime to produce enough insulin. Despite the hiking and biking you've been doing, I'm a little concerned that the King of Tarts might be putting on a few pounds as he eats his way through the Great White North. Reminds me of a Shoe-Fly pie - I'm sure I'd love it. I haven't looked for any recipes, though - are they egg-stabilized, or just baked into gooeyness? Mark, Worry not! Both the King and the Queen will be undergoing a rigorous slimming regime now that they have returned home. Trouble is, the Queen has yet to discover a Diet Pie that sounds the least bit appetizing. . .
SoCal Sister, Wish you were here too. In addition to your splendid company, the Queen is always in need of pie-tasters. Robert, Thanks for stopping by. 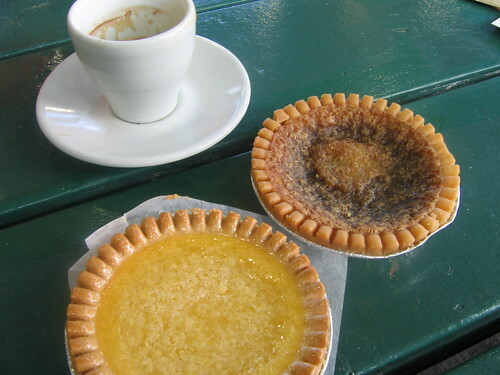 I'm trying out a couple different tarte au sucre recipes -- some with eggs, most without. 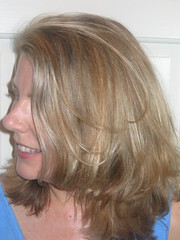 I'll post the results within the next few weeks. 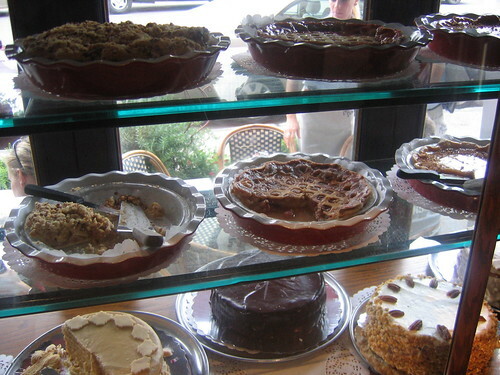 If you're a fan of shoofly pie, you'd do well here in Lancaster County. Most people seem to prefer the alluringly named "wet-bottom" version, but the county caters to "dry-bottom" afficionados, too. Неудивительно, что древние приносили в ежртву девственни. Я 9 часов булждала по сети, пока не ывшеала на ваш фроум! Думаю, я здесь останусь надолго! прошу прощения за опечатки.... очнеь маленькая клавиатура у PDA!